POWER MACHINES INDIA LIMITED Vs. STATE OF MADHYA PRADESH and ORS. Respondent: STATE OF MADHYA PRADESH and ORS. 2. This appeal has been preferred by the appellant “ Power Machines India Ltd., aggrieved by the judgment and order dated 18.7.2016 passed by the High Court of Madhya Pradesh at Jabalpur, thereby dismissing the Writ Petition filed by the appellant for declaring Rule 5 of Madhya Pradesh Micro and Small Enterprises Facilitation Council Rules, 2006 (hereinafter referred to as “the Rules’) ultra vires, which had been framed by the Government of Madhya Pradesh in exercise of the power conferred by section 30 read with section 21(3) of the Micro, Small and Medium Enterprises Development Act, 2006 (hereinafter referred to as “the Act of 2006″). Rule 5 provides for recovery of the amount for which award is passed under section 18(3) of the Act of 2006 as arrears of land revenue thereby providing additional remedy for recovery of the awarded sum than the one provided in section 36(1) of the Arbitration and Conciliation Act, 1996 (hereinafter referred to as “the Act of 1996″). 3. It is pertinent to mention that the award was passed under the Act of 2006 by which the appellant was directed to pay awarded sum to respondent No.3 i.e. Lakshmi Engineering Industries (Bhopal) Pvt. Ltd. The award was passed by the Madhya Pradesh Facilitation Council for a sum of Rs.1,15,77,630/- along with an amount of Rs.1,04,96,746/- towards interest up to 10.1.2013. Payment of actual amount of interest was @ three times of the bank rate as notified by the Reserve Bank of India to be paid within 30 days of the award. The award was passed on 15.1.2014. 4. The Collector, Noida, initiated recovery of the amount as per letter dated 2.4.2016 issued by the Madhya Pradesh Micro and Small Enterprises Facilitation Council under the Rules. The recovery citation was served upon the appellant on 20.4.2016 purported to be one under the Uttar Pradesh Zamindari Abolition and Land Reforms Act, 1950. Another citation was received by the appellant on 16.5.2016 which was issued on 20.4.2016. Thereafter, appellant filed a writ petition before the Allahabad High Court for quashing the recovery proceedings. However, Tehsildar of Dadri, Gautam Buddha Nagar on 23.5.2016 withdrew an amount of Rs.1,18,78,588.14/- from the appellant’s bank account with ICICI Bank pursuant to the recovery citation. On 24.5.2016, it is averred by the appellant that a further amount of Rs.2,12,33,618.57/- was recovered from the bank account of the appellants with the State Bank of India. The appellant filed Writ Petition [C] No.11824 of 2016 in the High Court of Madhya Pradesh for declaring Rule 5 as ultra vires. The appellant filed another W.P. [C] No.12127 of 2016 for quashing the recovery proceedings on the ground that the recovery was not in compliance with Rule 5. The said writ petition questioning the rule had been dismissed. Writ Petition [C] No.12127 of 2016 had been allowed by the High Court of Madhya Pradesh and it permitted respondent No. 3 to initiate recovery proceedings under the rule de novo and in accordance with law. The petition filed in the High Court of Allahabad was dismissed in view of the fact that the aforesaid writ petition had been allowed by the High Court of Madhya Pradesh. 5. The Tehsildar, Dadri issued fresh recovery proceedings under Rule 5 for recovery of Rs.5,29,58,937/- as per the award dated 15.1.2014. Fresh recovery citation was served on the petitioner on 19.9.2016. The High Court of Madhya Pradesh in the impugned judgment and order has held that Rule 5 is not ultra vires and is in strict conformity with the Act of 2006. Aggrieved thereby, the appeal has been preferred. 6. It was submitted by Mr. P. Chidambram and Dr. A.M. Singhvi, learned senior counsel representing the appellant that Rule 5 is ultra vires, arbitrary and violative of Article 14 of the Constitution of India and is repugnant to the provisions contained in section 36 of the Act of 1996 read with the provisions contained in section 18 of the Act of 2006. It is beyond rule making power conferred under sections 21 and 30 of the Act of 2006. Once the provisions of the Code of Civil Procedure (for short, ‘the CPC’) had been made applicable, recovery could have been initiated only under Order 21 of the CPC which provides adequate safeguards to the judgment debtor. Order 21 Rule 22 of the CPC provides that in case execution is made after more than two years, delay has to be explained. There is power with the court to stay execution under Order 21 Rule 26 of the CPC. Order 21 Rule 58 of the CPC provides for an objection to attachment of property and the procedure is provided under Order 21 for adjudication of objections. In case objection is not entertained, there is a right to file a suit as provided in Order 21 Rule 58(1) of the CPC. Elaborate procedure is provided under Order 21 Rules 66, 69, 89 and 92 of the CPC with respect to sale, if required. The remedy provided under Rule 5 of the Rules does not contain the aforesaid safeguards and the amount can be recovered outrightly as arrears of land revenue. Thus, the remedy is harsh under Rule 5 and thus could not have been resorted to. It was also strenuously urged on behalf of the appellants that in the four States only, i.e., West Bengal, Madhya Pradesh, Punjab & Haryana and Andhra Pradesh recovery is made as per the CPC provided under section 36 of Act of 1996. Thus, there is a discriminatory provision made by the four States which is quite arbitrary and impermissible. States could not have enacted a provision in derogation to what is contained in the Central legislation. 7. It was contended on behalf of the respondents that the rule has been framed within the purview of section 30 of the Act of 2006. It is in furtherance of the objective of the Act to provide speedy recovery. There is no repugnancy with the provisions of the Act of 2006 or that of the Act of 1996. It is impermissible to provide inconsistent remedies also. In such matters there is no question of conflict of provisions. It is open to elect one of the remedies out of the available ones. Section 30 enables the State Government to make rules to carry out the provisions of the Act. The power is general and pervasive in nature. It encompasses any other matter which is to be and may be prescribed under the Act, and the Rule is required to be laid in the House of the State Legislature. Section 18(1) of the Act of 2006 provides that the dispute with respect to any amount due under section 17 may be referred to the Facilitation Council. On reference being made, the Council can itself conduct reconciliation with the assistance of any institution or ADR Centre. 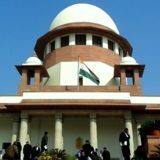 In that case provisions of sections 65 to 81 of the Act of 1996 shall apply and in case conciliation under section 18(2) is not successful, Council shall either itself take up the dispute for arbitration or refer it to some other Centre or institution for arbitration and thereupon the provisions of the Act of 1996 shall apply. No doubt about it that by virtue of the provisions contained in section 18(3) of the Act of 2006, the provisions contained in section 36 of the Act of 1996 are clearly applicable and it is permissible to execute the arbitral award in accordance with the procedure prescribed for execution of a decree under the CPC. 12. However, the question in the instant case is whether it was permissible to the State Government to enact Rule 5 of the Rules for recovery of the amount as arrears of land revenue and whether speedy remedy could have been provided under the Rules framed under the Act of 2006, notwithstanding the remedy as provided in section 36 of the Act of 1996 for executing the arbitral award as a decree in accordance with the provisions of the CPC, while providing remedy the State has exceeded its ken of powers. 13. Section 30 of the Act of 2006 extracted above clearly authorizes the State Government to frame the rules to carry out the provisions of the Act and the power is general, as is apparent from reading of section 30(1), 30(2) and 30(2)(b). The objective of the Act is to provide protection to the micro, small and medium enterprises and to facilitate their development. In order to carry out the objective of the Act speedy recovery mechanism has been provided under Rule 5 of the Rule by providing that amount awarded in an arbitral award can be recovered as arrears of land revenue. No doubt that Rule 5 is inconsistent with the provisions contained in section 36(1) of the Act of 1996 which provides recovery mechanism under Order 21 of CPC as a decree, but, in the matter of providing such remedies, it is open to legislate different remedies which may be inconsistent. It is a question of electing a remedy. Election of a remedy for recovery of the amount would depend upon the choice of the award-holder. Both the provisions i.e. section 36 of the Act of 1996 as well as Rule 5 of the Rules of 2006 intend to recover the amount though by different procedures. Intendment of provisions is same. There is no question of any prejudice being caused to the judgment debtor. It is apparent from the aforesaid dictum of this Court that providing of plural remedies is valid when two or more remedies are available to a person even if inconsistent, they are valid. It is for the person to elect one of them and there is no question of repugnancy in providing such remedy. 16. Thus, the submission raised by learned senior counsel on behalf of the appellant that Rule 5 is inconsistent and repugnant to the provisions of section 36 of the Act of 1996 cannot withstand judicial scrutiny and is liable to be rejected on the anvil of the aforesaid reasoning. 17. This Court while considering the provisions of Securitisation and Reconstruction of Financial Assets and Enforcement of Security Interest Act, 2002 (SARFAESI Act) in Mardia Chemicals Ltd. & Ors. v. Union of India (2004) 4 SCC 311 has held that secured interest can be enforced without intervention of the court. This Court has also laid down that there is a presumption of constitutionality in favour of the legislation. While considering presumption in favour of such legislation it would be necessary to see that the person aggrieved gets a fair deal at the hands of those vested with power under such legislation. This Court also considered the question whether the SARFAESI Act was uncalled for and a superimposition of an undesired law in the light of operation of the Recovery of Debts Due to Banks and Financial Institutions Act, 1993 in the field. 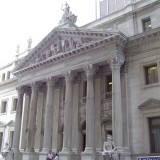 This Court has laid down that given the level of indebtedness and NPAs on the balance- sheets of banks and financial institutions, the time taken for recovery of debts via the civil courts, the importance of liquid and solvent banks and financial institutions to economic progress, especially in the present day global economy with a need to give up old and conventional methods of financing and recovery of debts, and the failure of the 1993 Act to bring about the desired results, it could not be said that a step taken towards securitization of debts and to evolve means for faster recovery of NPAs was not called for. This Court has also laid down that primacy is to be given to public interest over private interest. Thus, the provision of recovery outrightly, without recourse to the Civil Court, was upheld. In the instant case, the recovery of arrears of land revenue has been resorted to after adjudication process when arbitral award had been passed and when it is not objected to within the time prescribed under section 34 of the Act of 1996. Thus, the procedure cannot be said to be illegal or arbitrary in any manner and cannot be said to be violative of Article 14 of the Constitution, as contended by the appellant. On the basis of aforesaid reasoning it is clear that Code of Civil Procedure cannot be the only remedy. It is open to legislate recovery mechanism without interference of Civil Court. 18. The submission was raised on behalf of the appellant that Order 21 of the CPC provides more safeguards under different rules, which are referred to above, to a judgment debtor to raise various kinds of objections to file suits and has a right to object also at various stages. No doubt that a detailed procedure is provided under the CPC. But by now it is well known that after a decree is obtained, it has become more difficult to ensure its speedy execution due to misuse of the provisions by unscrupulous judgment debtors of a detailed procedure prescribed for execution of a decree in CPC which was never envisaged. Thus, providing a speedy recovery by way of arrears of land revenue, in fact, was the need of the day and Rule 5 has been rightly enacted to ensure speedy recovery and to ensure that small, micro and medium industries do not suffer. 19. We find no force in the submission that the recovery procedure as arrears of land revenue is harsh. It is quite reasonable and is provided in various enactments for recovery of the sums due. The procedure cannot be said to be illegal, arbitrary, onerous or harsh in any manner. This Court has laid down that the legislature has to lay down the legislative policy to delegate for carrying out the said policy. What can be delegated is the task of the subordinate legislation necessary for implementing the purposes and objects of the Act. In the instant case by exercising the rule making power conferred under Section 30, the purpose of the Act of 2006 is being protected. The rule intends to implement the object. It cannot be said that authority has been exceeded nor it can be said that the scope of the Act has been widened or constricted under the garb of rule making power. Object of both provisions is to ensure recovery. In our opinion Rule 5 of the Rules being a remedial provision is ancillary. It is open to provide for an additional speedier remedy so as to carry out the objective of the Act. 22. Reliance has also been placed on a decision of this Court in B.K. Srinivasan & Ors. v. State of Karnataka & Ors. (1987) 1 SCC 618 in which this Court considered the question that subordinate legislation, in order to take effect, must be published or promulgated in some suitable manner. Where the parent statute prescribes the mode of publication or promulgation that mode must be followed. Mode of publication of subordinate legislation should be reasonable, which is necessary, only then it will take effect. The question was entirely different. Even otherwise procedure for recovery of land revenue is quite reasonable. Considering the question of power of food authority under section 7(iv) to ban a food article in interest of public vis-à-vis power of the Central Government under section 23 to make rule, it was held that the Central Government cannot exercise power under section 23 to ban use of non- iodised salt for human consumption. Thus, provision of Rule 44-I of Prevention of Food Adulteration Rules, 1955 was held to be ultra vires. Rule 44-I was wholly outside the scope of the Act. It was held not to be a rule made or required to be made to carry out the provisions of the Act having regard to its object and the scheme whereas the position in the instant case is juxtaposed. Hence the decision is of no help to the appellants. 24. Similarly reliance has been placed on a decision of this Court in General Officer Commanding-in-Chief & Anr. v. Dr. Subhash Chandra Yadav & Anr. (1988) 2 SCC 351. Rules were framed enabling the transfer of one Cantonment Board’s employee to another. It was held that service was not transferable as such Rule 5 was ultra vires of section 280(2)(c) of the Cantonments Act, 1924. On facts the case has no application. 25. Reliance has also been placed on International Airports Authority of India v. K.D. Bali & Anr. (1988) 2 SCC 360 in which it has been laid down that when subordinate legislation is in conflict with the Parent Act then it must give way to the substantive statute. The principle has no application in the case of remedial statutory provisions as plurality of inconsistent remedies can always be provided and only one remedy has to be chosen. In Avinder Singh & Ors. v. State of Punjab & Ors. (1979) 1 SCC 137, it has been laid down that a delegate is not free to switch policy laid down by the Legislature. On the anvil of the aforesaid reasons, the decision is of no utility to the cause espoused. 26. Reliance has also been placed on Suraj Mall Mohta & Co. v. A.V. Visvanatha Sastri & Anr. (1955) 1 SCR 448 in which it has been observed that if persons dealt with by the impugned Act are deprived of the substantial and valuable privileges which they would otherwise have if they were dealt with under the Indian Income-Tax Act, in that situation it is no defense to say that discriminatory procedure also advances the course of justice. The matter has to be judged from the point of view of the ordinary reasonable man and not from the point of view of the Government. The ordinary reasonable man would say, when the stakes are heavy and serious charge of evasion of income-tax are made against him, why one person similarly placed should have the advantage substantially of the procedure prescribed by the Indian Income Tax Act, while another person similarly situated be deprived of it. The ratio of said decision has no application to the instant case, provision in question being remedial one and no substantial or valuable privilege is being deprived of by Rule 5. It is only procedural provision and intends to simplify the procedure of execution, once arbitral award is passed. In said case, there was substantial difference in the normal procedure of the income-tax Act for catching escaped income and in the procedure prescribed by Act 30 of Taxation on Income (Investigation Commission) Act, 1947. The classification made was held to be impermissible without any rationale. Such is not the situation in the instant case. The procedural provision of recovery of arrears of land revenue cannot be said to be prejudicial to the appellants. Once adjudication of dues has been made it was expected of the appellant to honour it after lapse of time under Section 34 of Act of 1996. In Maganlal Chhaganlal (supra), this Court considered the alternative procedure for eviction of unauthorized occupants on Government premises; one by suit and the other by summary procedure alleged to be more drastic and onerous under Chapter V-A of the Bombay Municipal Corporation Act, 1888 or the Bombay Government Premises Act, 1955. The procedure for recovery of land revenue envisaged under Rule 5 of the Rules could not be said to be discriminatory, it being quite reasonable procedure. It cannot be said to be harsh or drastic but is quite a reasonable procedure and it furthers the mandate of the Act. The difference between the procedure of execution of Rule 5 and that of CPC cannot be said to be unconscionable so as to attract the vice of discrimination. 29. Resultantly, the appeal is found to be without any merit and the same is hereby dismissed. IA No. 6 of 2017 has been filed for de-freezing the bank account of the appellant. In case, the appellant has deposited the amount of Rs.5,29,58,937/- as per the fresh recovery citation No.484002 and the interest as well, till the date when the amount was deposited, it would be open to the concerned Tehsildar to de-freeze the account on being satisfied that the amount has been so deposited. The cost is quantified at Rs.50,000/- to be deposited in Advocates on Record Welfare Association within six weeks. Tags: ARUN MISHRA S. ABDUL NAZEERCIVIL APPEAL NO.5317 OF 2017POWER MACHINES INDIA LIMITEDState of Madhya Pradesh and Ors.